Break out of old patterns and become new in Christ. Sometimes our worship loses its passion. Our prayer life becomes stagnant. We forget why we are serving God. And slowly, subtly, the world's ways become our ways. 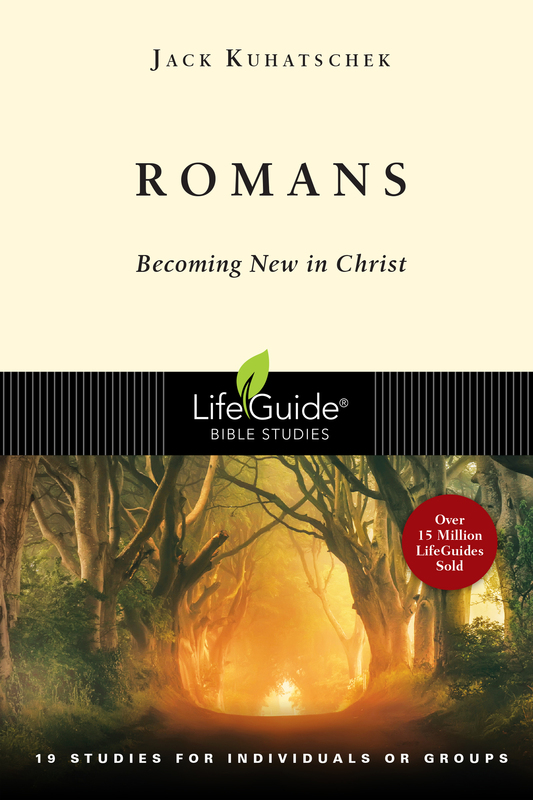 In these eleven studies, covering chapters 1-8 of the book of Romans, you will learn what measures you can take to break out of old patterns and become new in Christ. For the second half of Romans, click here. This section introduces the topic, explains the structure followed in each study and offers tips for those approaching the study on their own as well as those participating in a group. Paul says we can be eager to preach the gospel or be ashamed of it. What might lead us to adopt one attitude or the other? People often raise the question of how God could condemn those who have never heard of him. How does this passage address that question? Jews placed great value on circumcision because it was the visible sign that they were God's people. How had some of them confused the sign with what it signified? How might religious people today have a similar misunderstanding about baptism or some other ritual practice? Imagine a courtroom scene with God as the judge and the world on trial. From what you have learned so far, summarize the charges against us, the supporting evidence and the verdict. How is the righteousness from God different from righteousness by law? According to Paul, how were Old Testament saints, such as Abraham and David, justified? What are some of the differences between justification by faith and by works? What does it mean to "rejoice in the hope of the glory of God"? How has this been a source of joy to you? In what sense was our baptism both a funeral and a resurrection? Paul compares his struggle with sin to a war, with sin as the aggressor. Describe the nature and outcome of this war. How can a person's anguish and struggle with sin be beneficial? If we were unable to defeat sin as non-Christians, how can we as Christians? How do the words foreknew, predestined, called, justified and glorified help us understand how God accomplishes his purpose for us? This section includes information on preparing and leading studies, components of small groups, selected discussion questions, and background notes and suggestions for each study. Jack Kuhatschek is executive vice president and publisher for Baker Publishing Group, Grand Rapids, Michigan. He is the author of many Bible study guides and the books Applying the Bible and The Superman Syndrome.